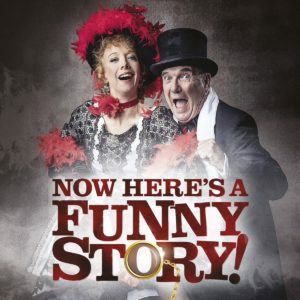 Funny Story Productions is excited to be bringing this fun singalong Victorian show to this beautiful Grade II listed Victorian theatre, the Normansfield Theatre, following sell-out London dates and hot from a recent run at the Edinburgh Fringe 2017. “decidedly upbeat, whistlestop singalong history tour…elegantly constructed” ****All Edinburgh Review. “Excellent entertainment with appeal for everyone…amusing, touching and rowdy!“Brian Dazley, Max Miller Appreciation Society.